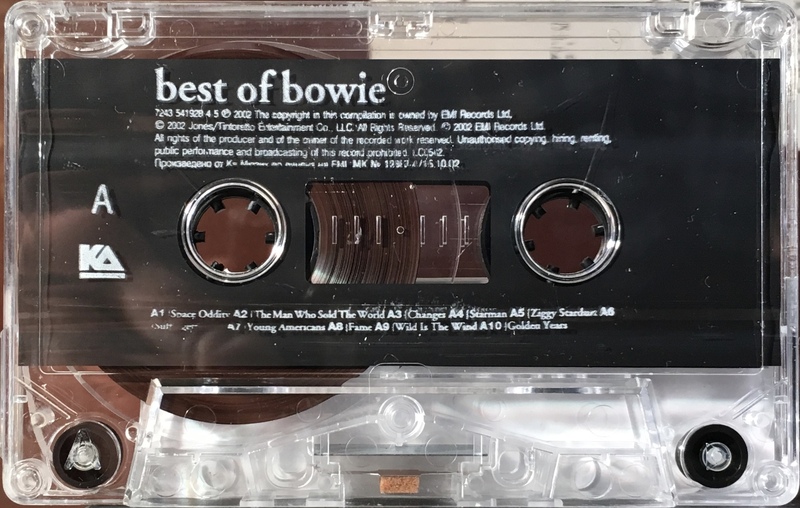 The Best Of Bowie: Bulgaria; EMI/ KA, 7243 5 419828 4 5; 2002. Seven panel cover on treated, folded paper full panel cover photo with holographic sticker attached and inner picture panels; white spine and rear panel. The inside and inner panels depict stages throughout Bowie’s career and has the back catalogue on the last two panels. Track list on rear panel. Marketing information in Bulgarian on rear panel with EMI and KA logos. White ink printed directly to clear shell with plain slip sheet. Information in English and KA logo on shell. Side 1: Space Oddity; The Man Who Sold The World; Changes; Starman; Ziggy Stardust; Suffragette City; Young Americans; Fame; Wild Is The Wind; Golden Years. 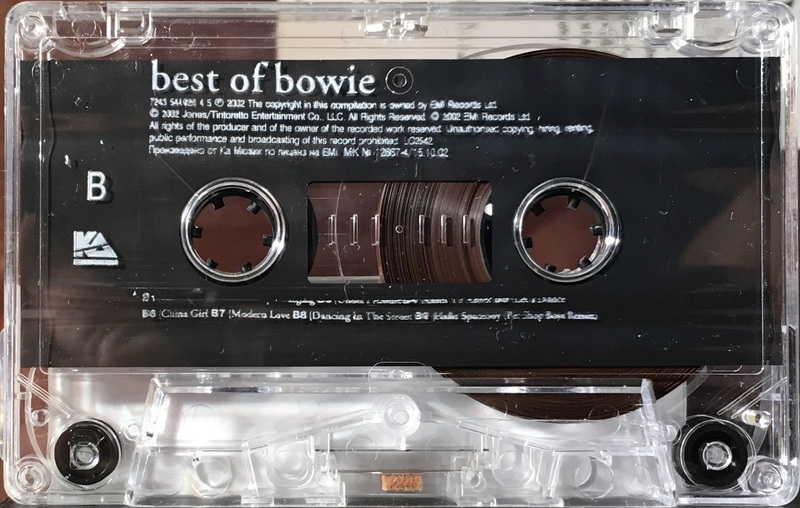 Side 2: Heroes; Boys Keep swinging; Under Pressure; Ashes To Ashes; Let’s Dance; China Girl; Modern Love; Dancing In The Street; Hallo Spaceboy (PSB remix).